Do you know what is the latest version of Wi-Fi? It's okay if you don't know. It is — Wi-Fi is 802.11ac. I am sure many of us can't answer this question immediately because the Wi-Fi technology doesn't have a traditional format of version numbers… at least until yesterday. The Wi-Fi Alliance—the group that manages the implementation of Wi-Fi—has today announced that the next version of WiFi standard, which is 802.11ax, will use a simpler naming scheme and will be called WiFi 6. 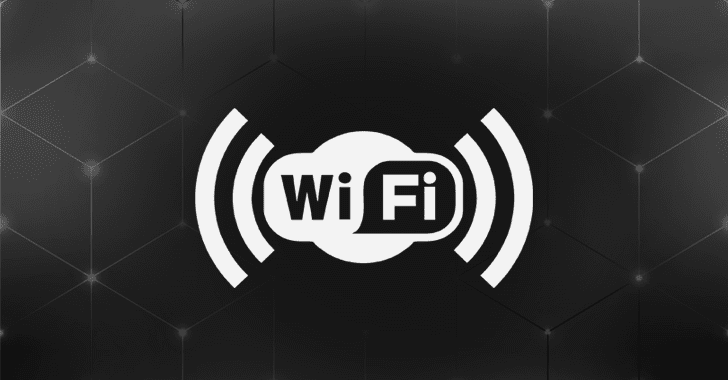 Wi-Fi 6, based on the IEEE 802.11ax standard, will offer higher data rates, increased capacity, good performance—even in dense environments (such as stadiums or public venues) and improved power efficiency, making it perfect choice for smart home and IoT uses). This new straightforward approach will make it easy for users to recognize which WiFi version their devices support and run, helping them to keep their devices up-to-date with the latest advanced WiFi capabilities. "To help users identify devices that provide the latest Wi-Fi experience, Wi-Fi Alliance has introduced simplified generational names that may appear in device names and product descriptions," the WiFi Alliance says. "Wi-Fi devices supporting the latest generation of connectivity are based on the 802.11ax standard and are known as Wi-Fi 6 devices." 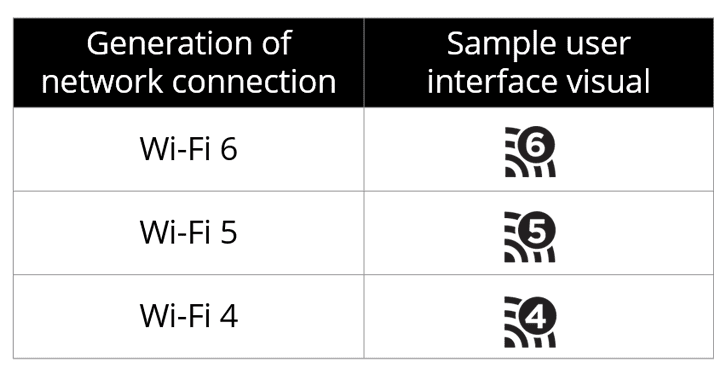 Besides this, the Wi-Fi Alliance also expects manufacturers, operators and software developers to adopt these simple numerical indicators into their user interfaces, instead of classic lettered versions, as shown in the example screenshot. These icons will make it easy for users to quickly spot and make informed decisions about what version of WiFi network they are connecting to when using computers, tablets, smartphones or other devices. That's really helpful, and a great move by the WiFi Alliance. These names will be a useful guide for users buying devices that connect to WiFi, like routers and smartphones, which will likely come marked with "WiFi 6" certifications. What do you think about the new naming approach? Let us know in the comments below.